I chose this destination first and foremost to step outside my comfort zone and to discover the Scandinavian culture which had appealed to me for several years. I absolutely wanted to see the northern lights, it was my dream. And finally, because of the snow! Because yes, I am still a little girl in my mind, having snowball fights and building snowmen. How long did you stay for? How much financial help did you receive? My stay lasted 4 months, so from the beginning of August to mid December. As a grant holder, I received a grant of 400€ per month from my university (Lorraine University) and 500€ from my region (Grand-Est region). What is the student atmosphere like in Trondheim? I lived in Moholt, the biggest "student village". The majority of foreign students live there so if you're looking to meet people, it's ideal. What's more, it's situated between the two main campuses, a 5 minute bus ride from each university. I lived in an apartment with three other girls (a Spaniard, an Indian and a Malaysian). Like in France, the student nights are on Thursday nights. Don't forget that in Norway, to get into a club you must be 20 years old which is also the case when buying spirits. (beer is available at the age of 18 in supermarkets and spirits in specialised shops). Alcohol is extremely expensive in Norway. Would you recommend the town and University of Trondheim to other students? What is food like in this country? Food is expensive. When you arrive, I advise you to go round the supermarkets (Bunnpris, Remi 1000 and Kiwi) to compare the prices and the different items on offer. Restaurants are also expensive (even Burger King! ). You can try out l'Egon restaurant, which is affordable and the menu is alright. 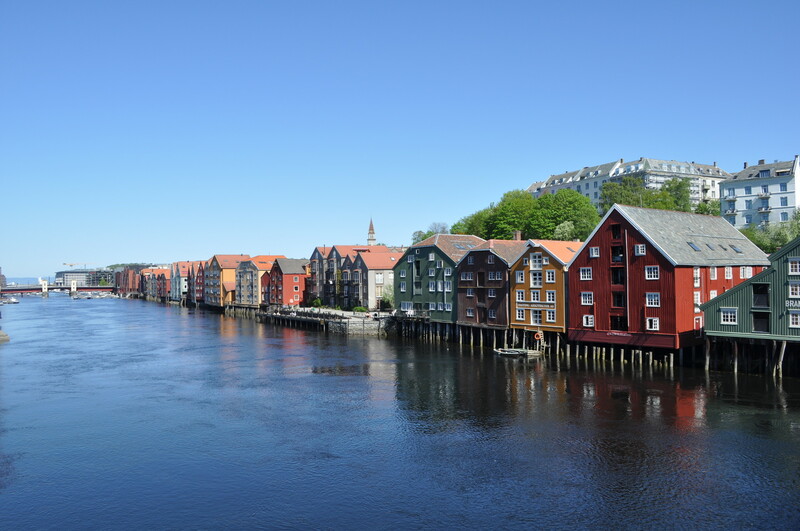 Did you have any difficulty finding accommodation in Trondheim? I didn't have any difficulty finding accommodation. The "society" which organises accommodation, Sit Bolig, offered me accommodation, quite late I must admit, so don't panic if the response is late. Having said this, there aren't enough places for all of the students, especially in the first term. My rent was about 360€ per month. Each person has their own room, but the bathroom, kitchen and toilets are communal. What is the cost of living in Trondheim? The cost of living in Trondheim and in Norway in general is high. You should plan a large budget for food, especially for meat (Beef is equivalent to gold). Fish and crustaceans are affordable and very good. The vegetables aren't excellent, they aren't in season as they grow in greenhouses(but they are still good). For the most part, fruit is very expensive. What is language learning like? Did you go to any language lessons organised by the University? I took some onsite Norwegian classes for beginners which were excellent. In 4 months I obtained a good A1-A2 level, I can manage in shops, at restaurants and in basic conversation. As mentioned above concerning English, all Norwegians have an excellent level of English (including some 8 year old children), so no need to worry, you'll improve in English. 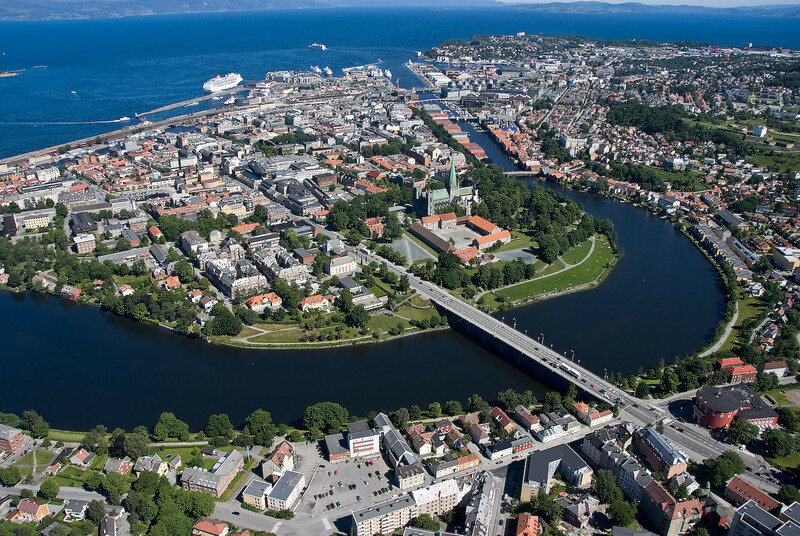 What is the most economical way to get to Trondheim from your town? From my town, the most economical way is to take the plane from Luxembourg. Where would you recommend to go out partying in Trondheim? Definitely the Studentersamfundet. It's the spot reserved for students. There are lots of different rooms and bars. It's a really great place to meet foreign students and to party. And to eat in Trondheim? Where are your favourite places? I loved the restaurant chain Egon Restaurant. You can find several in town and the nicest is at the top of the (Tyholt) tower, the views of the mountains and fjord are just exceptional. And what cultural visits do you recommend? Definitely the Nidaros Cathedral and the red bridge which is just gorgeous above the fjord with all the coloured houses, as well as the little white footbridge which sticks out over the fjord. Any tips for any future students in Trondheim? If you're not scared of being far away from your family, the rain and the cold, then you're sure to love the destination. The mountain hikes are majestic and not to be missed, just like the northern lights.